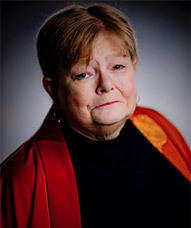 Tamora Pierce is a New York Times and Wall Street Journal bestselling author of more than 28 fantasy novels for teenagers. She’s the winner of the 2013 Margaret A. Edwards Award for Lifetime Achievement in Young Adult Literature, the RT Book Reviews Career Achievement Award, and the 2005 Skylark Edward E. Smith Memorial Award for Imaginative Fiction. Her latest work includes Tortall: A Spy’s Guide (2017) and 2018’s Tempests and Slaughter, the first in a three-book Tortall series. She answered some questions about her work and the upcoming Writers Day, where she will be a keynote speaker and faculty. ERLINA VASCONCELLOS: You’re on several social media sites and have a robust website with the most thorough author bio I’ve ever seen. What motivates you to be so visible and open with the public? Do you have personal guidelines or a philosophy for social media?